‘Being a film director is physically and emotionally draining. You need to be brave and show your thoughts to the audience and take their criticism well. But that’s how I contribute to my society. 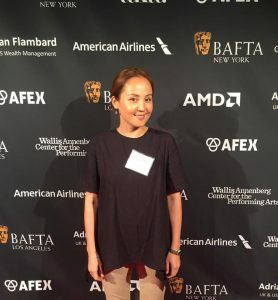 The FLEX program changed my life in a great number of ways and the responsibility to pay back never leaves me,’ says film director and producer Elnura Osmonalieva ’99. At the moment Elnura studies for her Master’s at one of the top film schools in the world, the NYU Tisch School of the Arts. 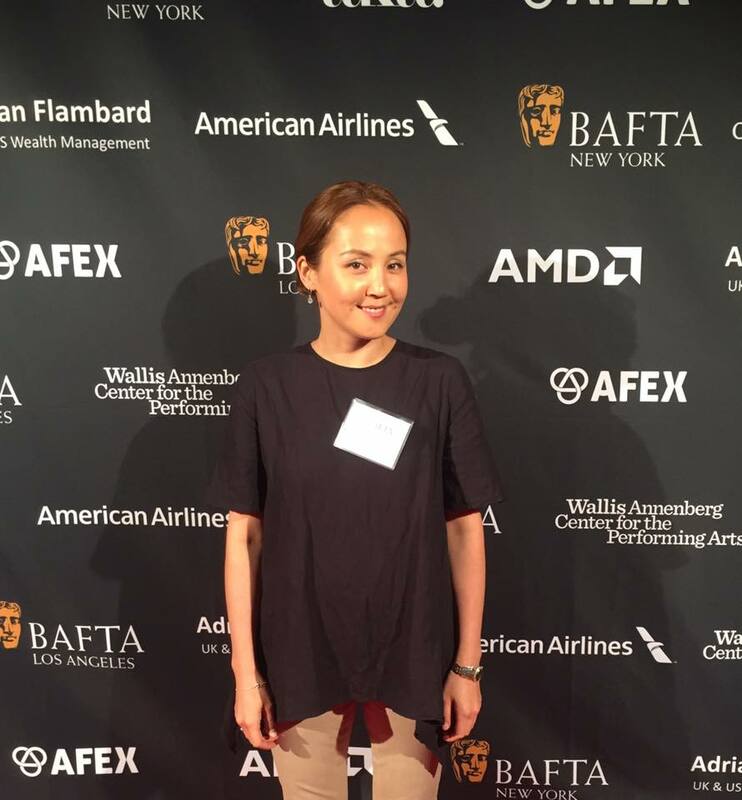 Her husband, a Kyrgyz film producer, and their four children, have moved to New York to be with Elnura during her studies. 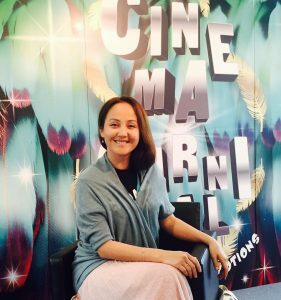 Having been selected out of hundreds of applicants from all over the world, the FLEX alumna is now working day and night to develop her skills in various fields of film industry, and the hard work is already paying off. 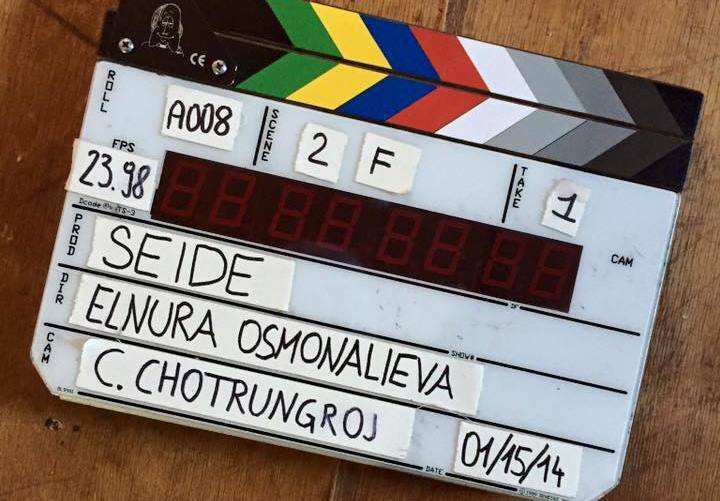 Her most recent short film Seide won the grand prize at the Asiana International Short Film Festival and also won competition at the First Run Film Festival organized for all current students of the Tisch School. The film was later presented at the Venice Film Festival 2015 and the Sundance Film Festival 2016. This should not surprise you. Elnura has years of experience as a successful film director in her back pocket. ‘I came to film production from civic activism in 2008. I wanted to reach more people and decided to do it through movies. So at the beginning all of my work had a distinctively social mission and later I started developing as an artist,’ says Elnura. Her first documentary movie Almaz immediately brought Elnura national recognition. The movie stars a young Kyrgyz man, Almaz, arriving to the Netherlands. There he is greeted by his Dutch best friend in whose family he will live as an exchange student. His English language skills are good, he gets on brilliantly with his host family, and enthusiastically learns about Dutch culture. ‘I feel as if I am in a completely different world – I even can’t feel my body anymore,’ laughs Almaz. But behind this happy facade hides a story of incredible human dignity and suffering – this cheerful open-minded teenager grew up in extreme poverty, survived cancer, and learned English from an old Soviet textbook. The movie takes the audience on a journey through Almaz’s past told by his family members. It’s powerful and captivating. ‘I’ll continue growing, I’ll never live like this anymore,’ says the main character in the last scene. The story behind ‘Almaz’ is fascinating in its own right. For months Elnura had been searching for the right theme and character and came across Almaz completely unexpectedly. ‘I met him when I worked as a coordinator for a Kyrgyz-Dutch youth exchange. Almaz wanted to participate in the program and meet Dutch students. Before the interview started, I learned that that he wouldn’t be able to host an exchange student himself. At the time he lived in a shanty town near the city market,’ remembers Elnura. ‘I immediately became interested in his story and very quickly realized that I needed to share it with others’. The opening night of Almaz went better than Elnura could even imagine – hundreds of people came to watch the movie and were deeply affected by it. ‘I didn’t expect to see so many crying people. I didn’t want to make a sad film, I meant it to be inspirational. But many could relate to the story very well,’ says Elnura. One of the audience members on whom the movie had a profound effect was the future Kyrgyz Prime Minister Omurbek Babanov. When he was elected to the office, he organized a special screening of ‘Almaz’ for 500 state officials and their families. Afterwards the movie was shown in all Kyrgyz cinemas and on state television. Elnura’s dream to become a film director focusing on social issues came true. And so did Almaz’s – upon graduating from high school he was admitted to the American University of Central Asia (the same university as Elnura went to) and received the AUCA President’s Scholarship covering tuition and board. The movie inspired a group of local businessmen to set up a program offering business start-up and financial support loans to university students and graduates. The first recipient of the loan was naturally Almaz who used the loan for building a small rental property and for covering the tuition of a struggling student. Elnura is proud of the impact that the movie has had on the community and hopes that it will inspire more young people to study and take part in international programs. ‘I know first-hand how it feels not to have much money. My parents didn’t buy themselves new clothes for years so that they could pay for my English classes. And when I entered the university, I immediately got a job to financially support them and myself too,’ she says. ‘That’s why I studied extremely hard – I knew that education would allow me to do meaningful things’. Almaz was followed by another well-loved movie called The Country We Live In. The work is dedicated gender relations, corruption, and youth empowerment, and is based on the stories of outstanding Kyrgyz people. The movie received the Kyrgyz National Film Award of 2013 and drew more attention to societal problems in the country. ‘Through my movies I try to portray people’s lives the way they really are. My aim is not to anger people by exposing societal flaws, but rather to unite them around the issues and promote the importance of education,’ notes Elnura. Her interest in film production started during her FLEX year when she took telecommunications classes in her American high school. A local TV station, KLTV, invited students from Elnura’s high school to be trained in their studio and there Elnura produced her first short films with their help. She also tried her hand at writing scripts, interviewing people, and operating the camera. ‘Before the FLEX year, I had never had access to a video camera but in the U.S., I could borrow equipment from my high school or the TV station. All my free time I walked around with a camera or sat in the studio editing. It was absolutely thrilling,’ she remembers. ‘We won’t be able to build a happy society until no one faces discrimination or mistreatment – women, children, minorities around the world. The FLEX program wasn’t just an exciting tourist trip – it gave us opportunities to promote social justice, education and democracy on a global level. We, the FLEX alumni, should never forget about our responsibility to contribute to society’.